📺 The next two episodes of "Axios on HBO" will include interviews with Tim Cook, Elon Musk and Bill Gates. Plus some screen-time for yours truly. Sundays at 6:30 and again at 11:30 p.m ET/PT. 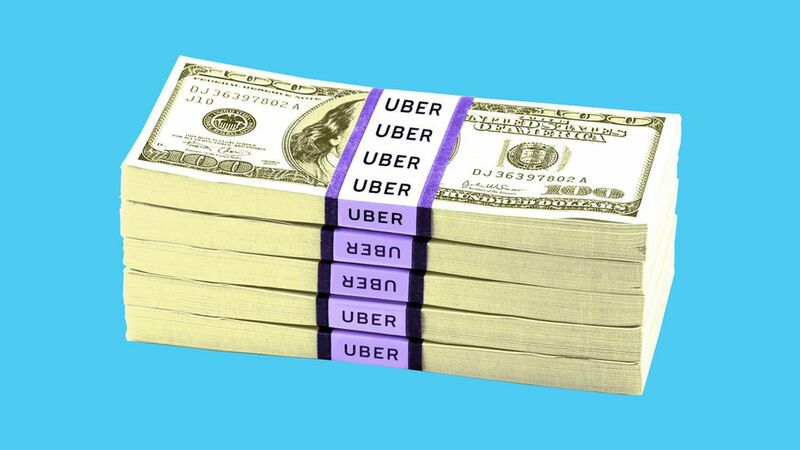 Uber still plans to go public in 2019, but its bottom line is moving in the wrong direction. The company yesterday reported a third quarter loss of $1.07 billion, which is 13% larger than what it reported in Q2. Axios' Kia Kokalitcheva reports that the company blames the higher net loss on increased spending in "competitive markets" like the U.S., India and the Middle East, plus new initiatives like bikes and scooters. There was a 24% quarter-over-quarter improvement if looking at the loss from the perspective of adjusted EBITDA, which is Uber's preferred metric, but that's not the market standard and a $527 million loss on that basis remains fairly formidable. Moreover, while the GAAP loss actually shrunk year-over-year, the adjusted EBITDA loss grew. Q3 revenue came in at $2.95 billion, up 5% from Q2 and 38% from Q3 2017. Bottom line: Dara Khosrowshahi and his new finance team still have time to stem the red tide before passing around an S-1, but they're beginning to cut it awful close. Josh Harder, who left Bessemer Venture Partners to run for Congress against incumbent GOP Rep. Jeff Denham (CA-10), came from behind to win election. Denham formally conceded yesterday. Dell raised the cash component of its takeover bid for VMWare's tracking stock, from $108 per share to $120 per share. It increases the aggregate deal value by $2.2 billion, and has gotten support pledges from shareholders Cox, Elliott Management, Canyon Partners and Mason Capital (which, combined, control around 17% of the tracking stock). No word yet from Carl Icahn or P. Schoenfeld Asset Management, who were both opposed to the original offer. The FDA today will formally unveil its new e-cigarette rules, including the bans on many flavored pods from generalist retailers. It's also proposing a retail ban on menthol cigarettes, which I'd assume would also extend to menthol-flavored vaping pods (menthol, mint and tobacco-flavors will still be permitted, as will online sales and smoke-shop sales of fruit-flavored pods). Axios' Caitlin Owens has more. 🎧 Podcast: I talk with NYC Deputy Mayor Alicia Glen, an architect of the Amazon HQ2 deal in Long Island City, about the controversial incentives, the last-minute asks and how New York will ultimately gauge success. Listen via Apple or via Axios. Speaking of Amazon, yesterday's lead item neglected to mention that there is indeed a Seattle-based "unicorn" founded by an ex-Amazon employee: On-demand shipping platform Convoy. Why it's the BFD: Because there aren't too many 100 year-old companies around, let alone 145-year old companies that remain iconic and successful. Plus, Levi's isn't only a fashion trailblazer. It also completed one of the largest-ever IPOs at the time of issuance ($50m in 1971) and a then-massive take-private leveraged buyout ($1.7 billion in 1984). 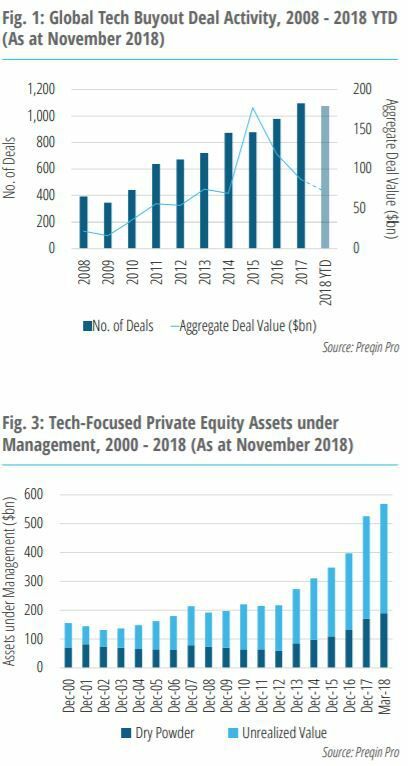 Just over 40% of global tech PE deals in 2018 have been add-ons. Tech-focused PE fundraising hit $400 billion in both 2015 and 2016, but fell a bit short last year and was under $300 billion through the end of Q3 2018. That said, there has been an increase in generalist PE funds that do tech deals.